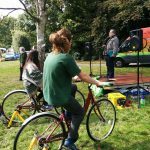 We set up a 2-bike pedal powered sound system to provide around 400W PA system. 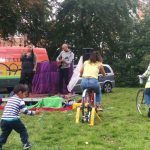 We had a small mixing desk and also provided a bubble machine to give more atmosphere! 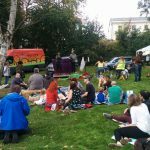 The day was really enjoyable with a vast array of stalls providing information on green ideas, recycling, activism and community. 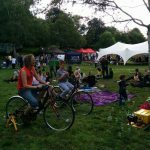 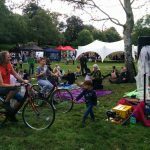 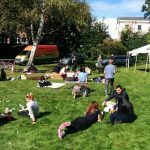 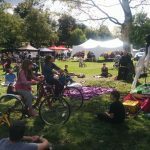 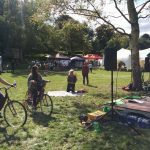 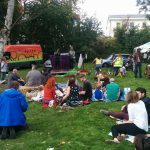 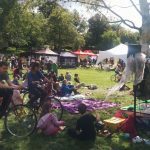 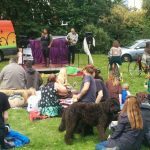 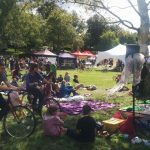 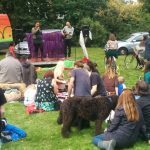 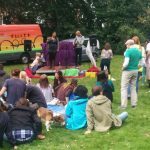 This years festival was also totally vegan with an amazing variety of vegan food – great cakes and pasties kept us fuelled! 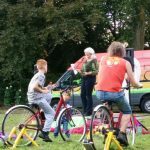 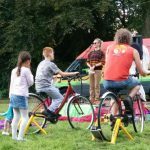 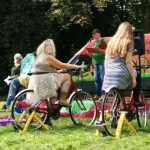 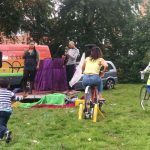 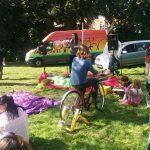 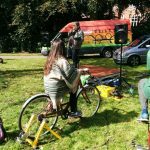 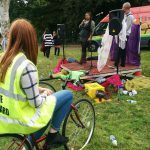 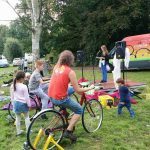 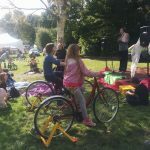 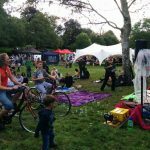 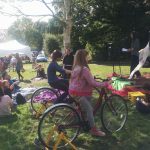 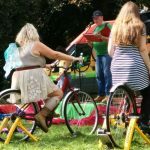 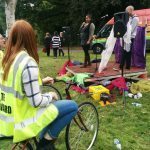 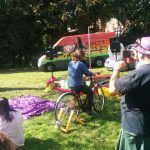 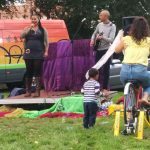 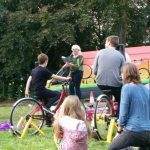 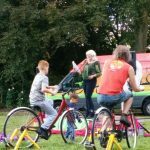 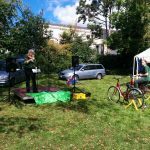 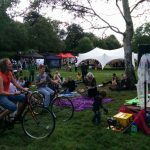 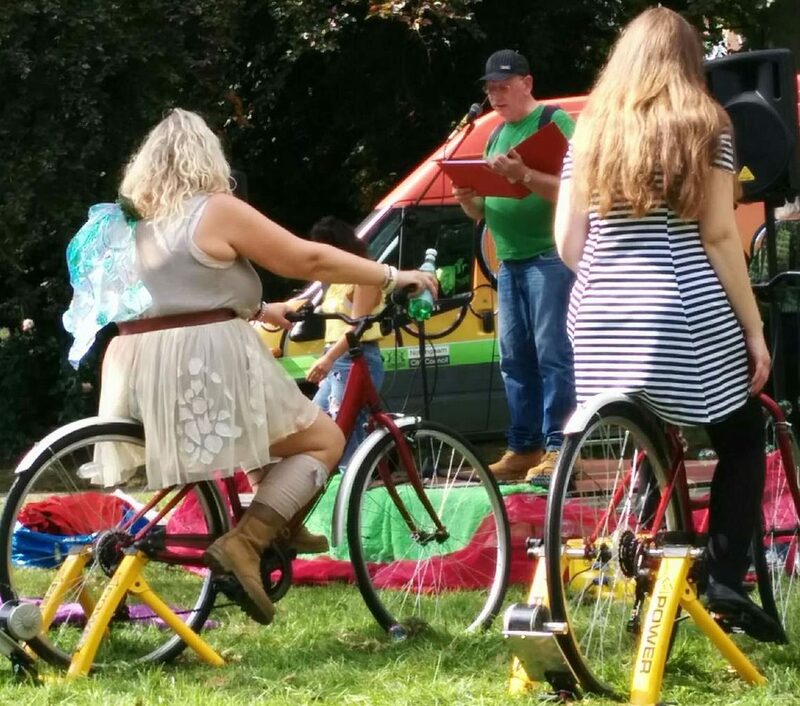 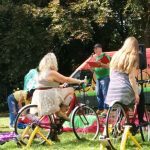 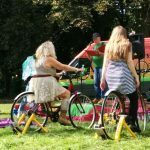 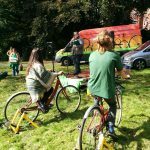 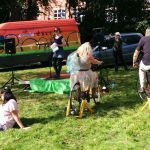 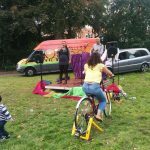 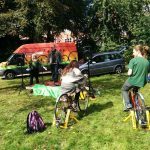 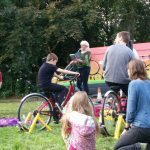 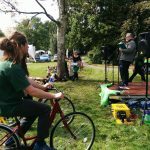 Get in touch if you think our pedal powered sound system would be useful at your event!